My reference speakers for the past year was Sonus Amati's (all sold), the Franko Serblin masterpiece..... THIS dac brings up the B&W800D to the same level. Gosh I can only imagine if I had the Homage at hand to compare. The three output mode are masterpieces. The SS is crystal clear and super detail, the middle valve setting the best to me. The Valve + lush and incredibly huge. Does this have the x-bass and 3D mode? Also how does it compare on price to the Ican pro? The Pro iDSD has upsampling and studio features. Its doesnt have the "enhancements" of the smaller siblings. It dos have a tube and SS output that has beautiful tonal differences. Lots of filers and upsampling to DSD1024. What a crazy piece of kit. Runs rings around any DAC we could throw at it. 2nd Order also now sold out. I will be placing a 3rd order Monday and should have stock in 14 days time. You lucky its only 5 days. Must male a plan to have a listen to this "crazy piece of kit"
Its about the same difference as between the Vivere and DACs around that time. On all levels just so much better. I know it has a lot to do with the Quad BB DAC and also the DSP part. On the SS setting it just extracts lots of liquid detail. And Then with the tube setting it keeps the detail but pushes the mids out. NOT valve bloom, that happend at the V+ setting. Francois which BB DAC's does it have - is it the DSD1794a? Looks very cool. What tubes does it use? It would be interesting to know how the Pro iDSD compares to the latest Emm Labs DA2 ($25 000). 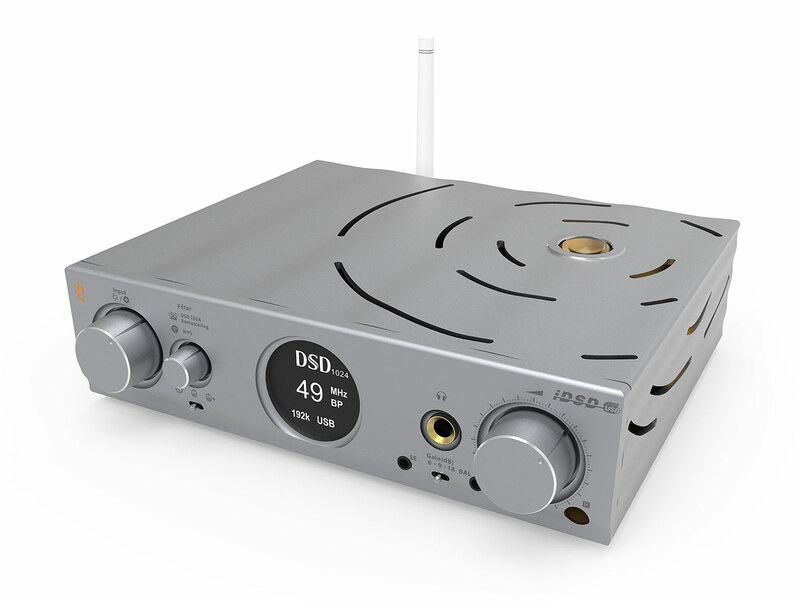 The Hifi News & RR review rates the iDSD at 87% and recommends the SS output. Ah. Uses 4 x DSD1793 chips. It turned out to be a very enjoyable, tastefully executed sanely priced do-it-all. It did everything a product of this sort should these days, did them really well, then added a ton of useful features to where I honestly couldn't think of anything I'd like to see added. Most importantly, this comprehensiveness didn't make iFi's most ambitious DAC mediocre, merely good or even great but truly fabulous. 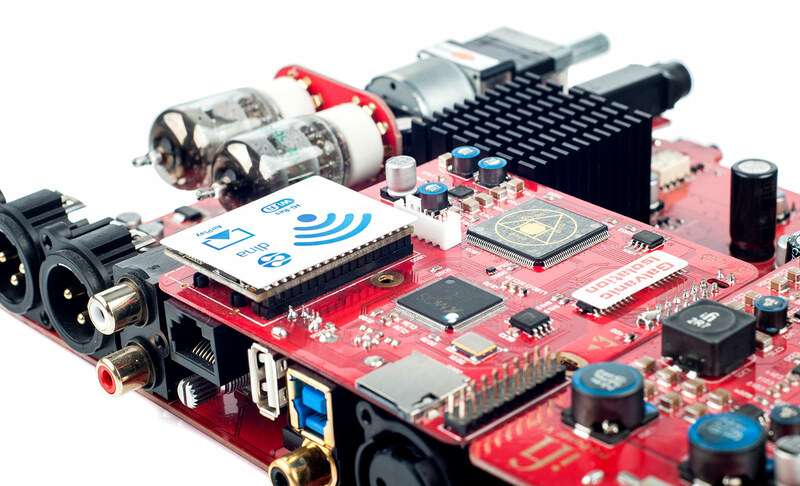 It sounds like a machine developed by a veteran engineer who is fond of old multi-bit architecture and valves but adds a 21st-century mind set and the latest up-to-date tools. Such a confluence of abilities can't go wrong and today's review proved that point brilliantly. The upshot is that even if—highly unlikely—all the additional features of the Pro iDSD were of no use to you, it'd still be a fantastic DAC. To underscore that point, I view it as the machine to familiarize yourself with before anything else at a similar price. In fact, it's now my top choice even well above €3'000. Highly recommended!